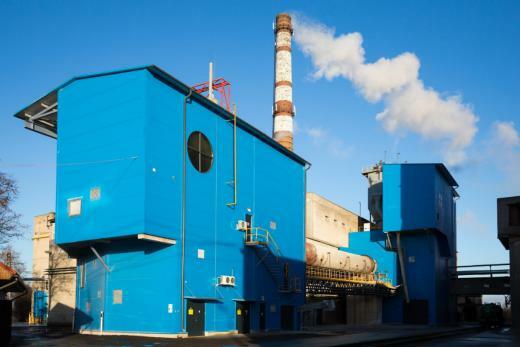 Horizon Pulp & Paper (Horizon), a leading sack kraft producer in Estonia, officially inaugurated the company’s new Lime Kiln and Wood Processing Line that will increase the mill’s production efficiency. 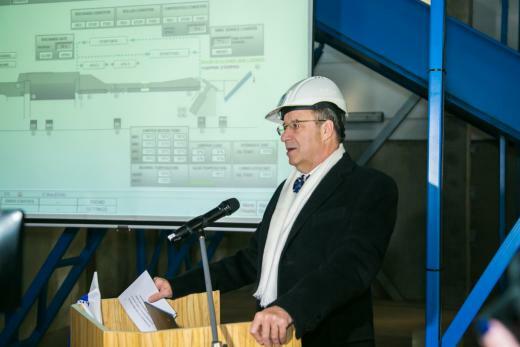 Mr Toomas Hendrik Ilves, the President of Estonia, launched the Wood Processing Line during his visit to Horizon. The new Lime Kiln that became operational in 2014 enables Horizon Pulp & Paper to recycle more than 90 percent of the lime used in the production. Besides contributing effectively to cleaner environment, this also reduces the usage of natural resource lime. “The investment of about €11m reinforces the company’s commitment towards environment protection. Leading global industry technologist, FLSmidth Group, supplied the equipment for the Kiln. The process is fully automated and operated through DCS system”, said Mr Bashyam Krishnan, CEO of Horizon Pulp & Paper. For the Lime Kiln investment, €3.8m was received through the Environmental Investments Centre of Estonia from the means of the European Cohesion Fund. SEB Pank co-financed the Lime Kiln and Wood Processing Line. Group ANDRITZ, an international technology leader, supplied equipment for the state-of-the-art wood processing line, a total investment of approximately €4m. In the pulp-making process, the quality of the pulp fibre depends on the wood chip quality. The selected line presents the latest wood processing technology and consists of log infeed, debarking unit, chipper and chip screen. According to Mr Krishnan, the new technology improves the chip quality thereby enabling to achieve full potential of the plant’s recent investments for advanced pulp cooking and washing processes, leading to improved quality of paper produced. Horizon Pulp & Paper is the only sack kraft paper manufacturing company in Estonia. The mill is fully integrated and exports to about 55 countries around the globe. In the pulp and paper industry, Estonia has a competitive advantage because of the high-quality raw material, long-fibre wood of pine and spruce, provided by the forest industry. A subsidiary of the Singapore headquartered multinational group Tolaram, Horizon possesses substantially modernised production facilities. Since 1995 when Tolaram Group acquired the mill it has invested significantly in achieving better standards in quality, efficiency and environmental protection. The company’s foundations date back to 1938 when Kehra Pulp Mill started operations in the premises of current Horizon mill.